If the world’s leading record labels are to be believed, YouTube is the world’s largest repository of infringing content, content which makes YouTube lots of money. YouTube counters with arguments that it always abides by the law (it does) by taking down infringing content as the DMCA required, when advised by rightsholders. It licenses content from the labels too, paying them billions in the process. However, the labels say that YouTube doesn’t pay them a fair rate. To solve this problem, the labels are desperate to remove the safe harbor protections that YouTube currently enjoys. They want YouTube to become liable for infringing content on its platform while paying them rates similar to those paid by Spotify, for example. This position has proven impossible to achieve through negotiations so rightsholders headed to EU lawmakers instead. Article 13, which needs little introduction, is currently winding its way through the EU’s corridors of power, hoping to solve all of these problems in one fell swoop. However, with giant companies pulling in opposite directions, negotiations have been drawn out, to say the least. The latest proposals dated November 9 have now been published online and they give a pretty good indication of where things are going. 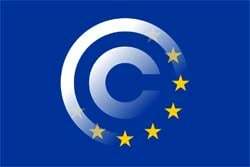 “Member States shall provide that an online content sharing service provider performs an act of communication to the public or an act of making available to the public when it gives the public access to copyright protected works or other protected subject matter uploaded by its users,” the proposal begins. Now, here’s the bit that’s scaring YouTube. YouTube can currently avoid liability for infringing content being made available to the public as long as it removes that content once it’s made aware of its existence. Under the statements above, YouTube would have no protection. This massive liability was referenced recently by YouTube’s CEO, who warned of dire consequences. 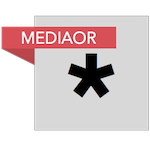 The latest proposals detail two options – Option 1 and Option 2 – that set out requirements for cooperation between rightsholders and the consequences of not doing so. In the absence of the authorization [from rightsholders, referenced above], Member States shall provide that online content sharing service providers and rightsholders have to cooperate with each other according to professional diligence to ensure that there are no unauthorized acts of communication to the public or making available to the public within the meaning of this Article of specific works or other subject matter identified by rightsholders for which the rightsholders have provided the service with relevant and necessary information…. The “or else” is laid out in the subsequent paragraph of ‘Option 1’, along with potential exceptions. Member States shall provide that an online sharing service provider is liable for unauthorized acts of communication to the public or making available to the public within the meaning of this Article of specific works or other subject matter identified by the rightsholders and for which the rightsholders have provided the service with relevant and necessary information unless it shows it has taken effective and proportionate steps to ensure that those works or other subject matter are not available on its service….. Both Option 1 and Option 2 add potential exemptions for small platforms, consideration for the amount and type of work uploaded by users, the availability of “suitable and effective technologies” (filtering such as YouTube’s Content ID), the financial burden on a platform, and the number of copyright infringement notices received. In any event, both options require online sharing providers to “act expeditiously to remove or disable to access to works or other subject matter” when unauthorized content is made available and both require that providers. They must then make “best efforts to prevent their future uploads in cooperation with rightsholders.” Phrased differently, it’s a take down and stay down regime. Given the above, it’s easier to understand YouTube’s current stance in favor of upload filtering via its own established Content ID system. With this technology, the company seems in a position to deal with the key issues Article 13 presents. Whether this will force it to pay the labels a “fair price” for their content (in order to close the so-called ‘Value Gap’) will remain to be seen. Further analysis from Julia Reda MEP here and the latest proposal document here (pdf) via Politico Europe.